Phat! 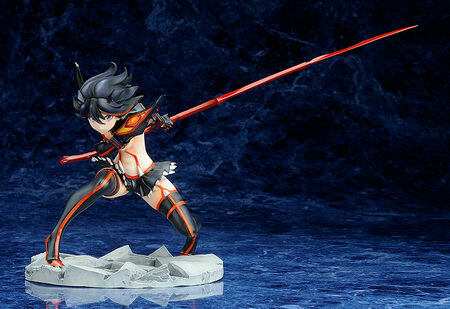 company is going to re-release the Matoi Ryuko ( 纏流子 ) Kamui Senketsu Ver. ( 神衣鮮血ver. ) 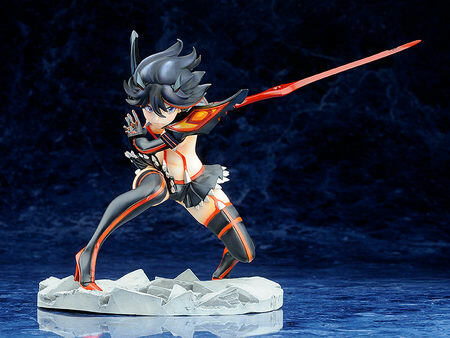 1/8 PVC figure from anime “Kill la Kill” ( キルラキル ). Will be re-released in December 2017. Around 150mm tall, 9,000 yen. "Now then… can someone tell me who owns these scissors?!" 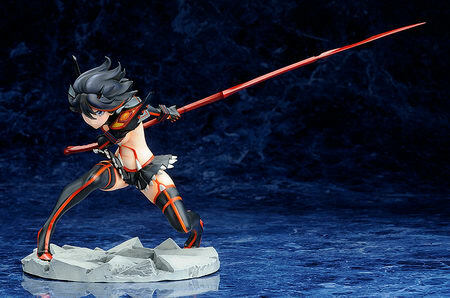 From the original animation made by Hiroyuki Imaishi and Kazuki Nakashima, ‘KILL la KILL’, comes a rerelease of this figure of Ryuko Matoi wearing Senketsu! She is armed with her scissor blade in ‘Decapitation Mode’, and the standard scissor blade is also included as a bonus part to switch between. The epic battles of the series have been transformed into an epic figure for fans of the figure to enjoy whenever they want!